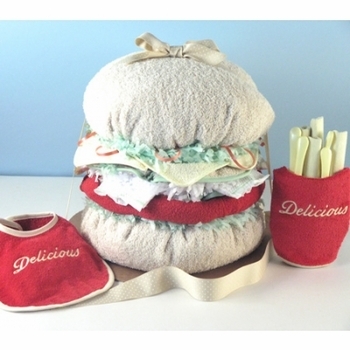 Everyone loves a burger and fries but the combination in this twin baby gift is twice as delicious. Comes fully gift wrapped ready to thrill the two times lucky mom and dad! Free shipping included.